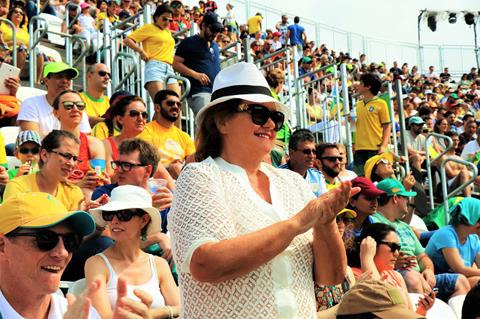 Welcome to the first edition of the Rinehart Review – and greetings from Rio! The Olympics are incredible for spectators, but more importantly it’s about the world’s best athletes - athletes who’ve become the world’s best after years of outstanding efforts, discipline, dedication, hard training and persistence. With these attributes, they are great role models and ambassadors for our country. As Patron for four sports – Swimming, Rowing, Volleyball and Synchronised Swimming – I know something of the athlete’s journey to Rio - a journey based on important life skills, hard work, great effort, self-discipline, dedication and persistence. I hope they put these skills to good use throughout their lives. These attributes result in them being great role models for the lives of other Australians, not for their outstanding competition times and performances, but for these attributes that enabled them to reach world class. At the swimming, Mack Horton, Kyle Chambers and the Women’s 4×100 metre relay team shone brightly winning gold for Australia! At the time of writing, our swimming team contributed 50 per cent of all gold medals to our entire Olympic team in Rio. 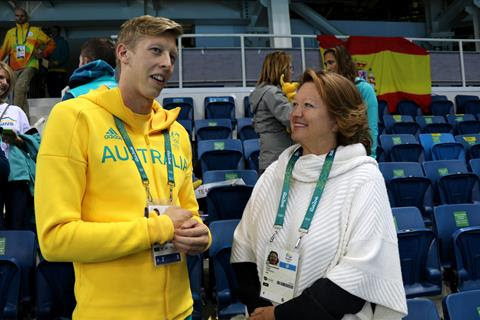 Congratulations to all of our swimmers and to Swimming Australia President Hon John Bertrand for his great support to improve the culture in the swim team since the London 2012 Olympics. Congratulations everyone! 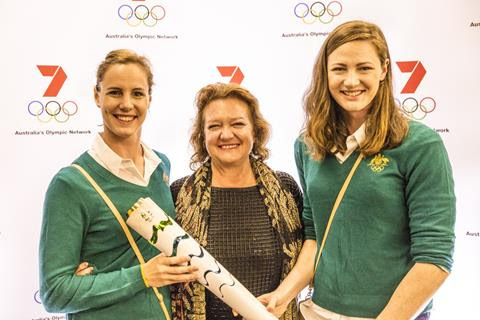 And yes, that really is the Olympic Torch our famous swimming sisters and I were honoured to hold in the above photo. 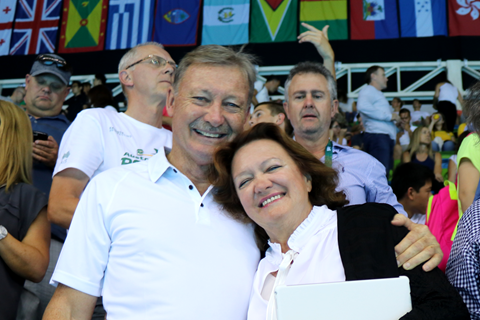 In the below photo I’m with Hon John Bertrand, President of Swimming Australia, after winning gold on the first night – a great start to the Olympics. Over at Lagoa Stadium, our rowers sped across the water to win 1 gold and 2 silvers making us the number 3 rowing nation at the games. Congratulations to rowing superstar Kim Brennan for winning gold in the women’s single sculls, where she lead the entire race – a fantastic effort. Despite difficult weather conditions where boats capsized, Kim rowed very strongly to qualify for the final. I am delighted that Kim was selected to be the flag bearer for the closing ceremony. Warm congratulations also to our men’s quadruple sculls team and the men’s coxless four team on winning silver. Congratulations rowing teams and all Aussie Olympic rowers! Below is Kim’s gold medal – much heavier than I realised. Next photo below is the Rio rowing course, isn’t it beautiful? And further below, I’m with Taddie and more green and gold! 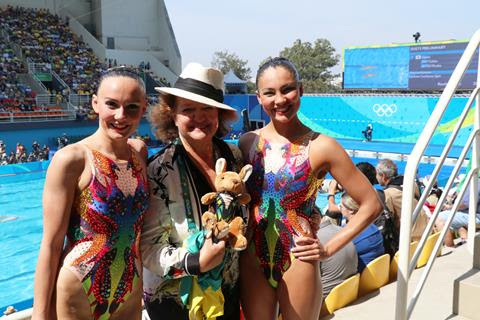 I think the Brazilians were extra friendly to us Aussies because we wear green and gold too! With the iconic Copacabana beach in the background, our beach volleyballers put in a terrific effort, taking on some of the world’s best teams. I especially enjoyed Mariafe and Nicole’s stunning match against Switzerland, where their huge efforts took them to a very close tiebreaker and several match points! Congratulations also to Louise and Taliqua on making it to the Quarter-Finals against the US – we watched some really hard fought and very close matches! I also especially enjoyed spending time with our team at Volleyball House in Rio and meeting their families – thank you, and being encouraged to throw and catch a few balls straight after a night game at the Cococabana Stadium, running in that sand sure isn’t as easy as the fantastically fit girls make it look! And, warm congratulations to our wonderful synchronised swimmers Bianca, Nikita, Cristina, Deborah, Danielle, Amie, Hannah, Emily and Rose. Different to the other sports, our synchronised swimming team receive no government funding whatsoever, with their parents especially supporting them for years, and they are also the youngest team with an average age of under 20. The two in swimsuits below were still wet from just completing a beautiful performance in the pool. The kangaroo on the family of the synchronised swimmers T-Shirt I was given even has a clip on its nose like the swimmers! It was lovely to see the mothers with their daughters rush up for photos with our girls, or should I say, stars, after their competition, wanting I believe, inspiration for their daughters. In the history of Australia’s participation in the games, only 34 synchronised swimmers have ever qualified for the Olympics, 9 of whom competed in Rio this month, and 8 of these for their first Olympics. A fantastic effort. And for those who are West Australians, I’m proud to say, the majority of the team are from West Australia. 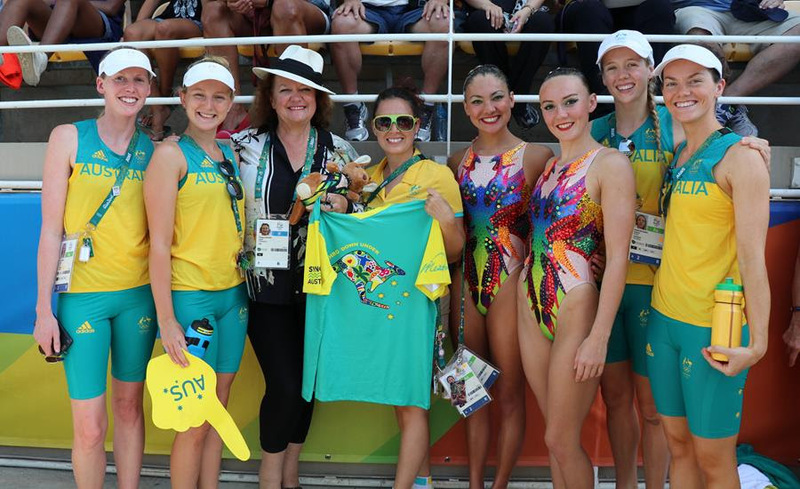 And also proud to say, hopefully our sponsorship of WA Synchronised Swimming, which we started prior to our national sponsorship, may have helped our girls on their journey to Rio. Photos below were taken at the pool and stadium with our wonderful girls. Warmest congratulations again to all of our teams who represented Australia at the Olympics, especially for their efforts and sacrifice over many years to be able to do so.